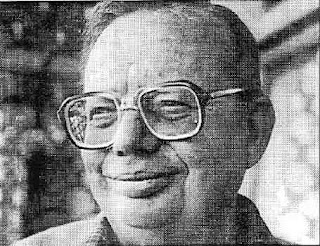 There are great writers in this world who have given something new to the world in the form of their writings. Among them there are two classes : one whom you can't help but admire for their beautiful penmanship, and the second with whom you, unconsciously, fall in love. For the second class, admiration comes after love. The speciality of writers like J. K. Rowling and J. R. R. Tolkein is that you can't help but fall in love with their writings, the worlds that they have created, beautifully crafted and designed. You marvel at their ingenuity and their ability to grasp your soul with a brilliant involvement. The book starts with tales of highways and the GT Road, and Rusty takes us to those silent corners of the well trodden dusty road where he just spotted a cheetal, or just missed a leopard who was supposed to be there as per his driver. He, then, narrates his own story of running away from school with his friend Daljit, how they posed as tourists to avoid detection once and some long lost sikh relative of a friendly truck driver another time to make that journey which will just be a start to their grand voyages to Rome, New York, Dubai, London and so many exotic places in the world. He discovers in his journey the people of India and added to the cunning they let grow in you, he realizes some soft but some bitter truths about the roads , less or more but, travelled and unforeseeable surprises when the supposed and real ends do not meet. There are splashes of joy, spatters of disappointment, marvellous young ideas of adventurous school boys and a simple innocence that bind you to the tale. Rusty's roads are more about the bliss of travel rather than the ecstasy of the destination which not many times end in joie de vivre. Then follows the plain tales of the plain towns. Beer at Chutmalpur or the Rose Rum Factory of Shahjahanpur which brings back the forgotten nostalgia of Bond grandfather on his fore-passed road tales before 1857, and a cheer(s)-ful remembrance to the to the famous Solan Brewery in Simla. He talks about the lesser known Monsoon in Meerut in a crummy guest-house that belongs to sole survivor of the forgotten tribes of lost Englishmen in independent India. He talks about his summer road rages in Delhi. How he could never fall in love with Delhi but found a temporary respite in scorching summer walks in the city and how he always yearned for the hills while being there. Then he goes to Agra, but remembers more of the kites and the kite-makers and the endangered species of kite-fliers; not the Taj Mahal and its grand tribute to 'love'; but a lazy afternoon conversation with a young boy he met while searching for a shade beside. Then he ascribes the pilgrims' of Ganga, the devotees of Rhishikesh and Haridwar, his inquisitive friend Kamal and the Delphic sadhus they met on their travel. Oh so much of India! Can you take it any more? Now coming to it, what do you think of Ganga? A holy river revered by Hindus, embraced by Indian customs and beliefs of rituals and purity although ecological reports differ! But how does Rusty's Ganga looks? She is not just a river, but almost a character full of fun and frolic, dangerous and lovable. She almost imbibes the personality of the path it traverses ('or is it vice-versa?') before pouring herself down at the Bay of Bengal. The gradient of her character and transformations, somewhere smooth and somewhere abrupt, amazes the reader. Alaknanda geographically the true-born one is the more atrocious one. She moves with an unrest and roars as the thunder on her way to Devprayag. She is as scary as she is temperamental. Whereas Bhagirathi, traditionally the more respected one due to her patience and control and choice of the path that reflects her beauty and greenery, is as if the elder sister, the calmer one, who finally meets Alaknanda and both assume the character that the plains' devotee worship as mother Ganga. You can almost feel his love and admiration for the attractive Mandakini ('the river, not the actress though both lovely beauties to look at and admire!' ;) ). Living in the aftermath of the 2013 Uttarakhand tragedy, you can relate to how the characters of these rivers, just as Rusty described, were fateful in deciding the destiny of the devotees. That is the genius of the writer and the prowess of his observation. The description of the deodars, silver-firs, spruces along the coasts, the silky rocks polished by the raging river, and a writer's judgment on her character, the usual Indian tourist trivialities and so on are what attracts you to this trail of Ganges, and you will always feel that connection re-establish when either Rusty or you return there one day. 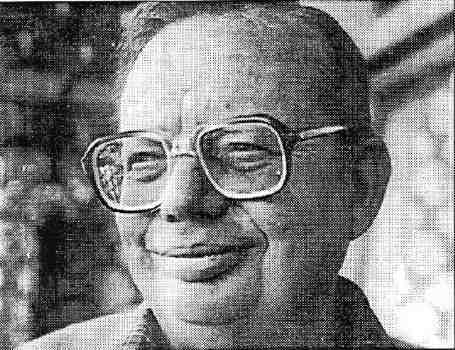 You can read Mr. Ruskin Bond's tales as if you were there, beside him, as a silent observer on these trails, and then the wanderlust strikes you. If you once fall in love with Bond, there will always be a part of his character that will live inside you no matter where life takes you. 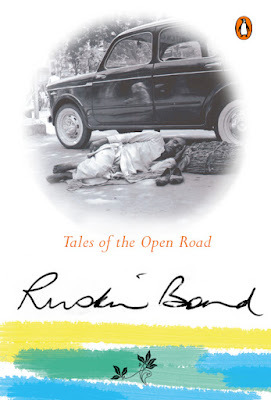 I give Ruskin Bond's “Tales of the Open Road” full 5 stars. So, you are packing your bags now, right?